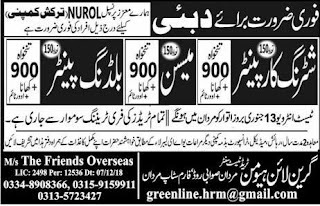 Below are the complete details of the Shuttering Carpenter jobs in Green Line Human Trade Test Center in Mardan. Qualification: Shuttering Carpenter Jobs In Dubai. Attractive Salary Package. Test/ Interview Date will be 13rd January 2019. 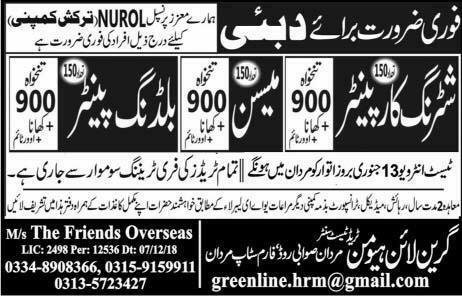 Shuttering Carpenter jobs in Green Line Human Trade Test Center Mardan, in Pakistan published on Paperpk.com from newspaper on January 08,2019. Job seekers who are already working as Shuttering Carpenter , Carpenter , Shuttering can also apply for post of Shuttering Carpenter.